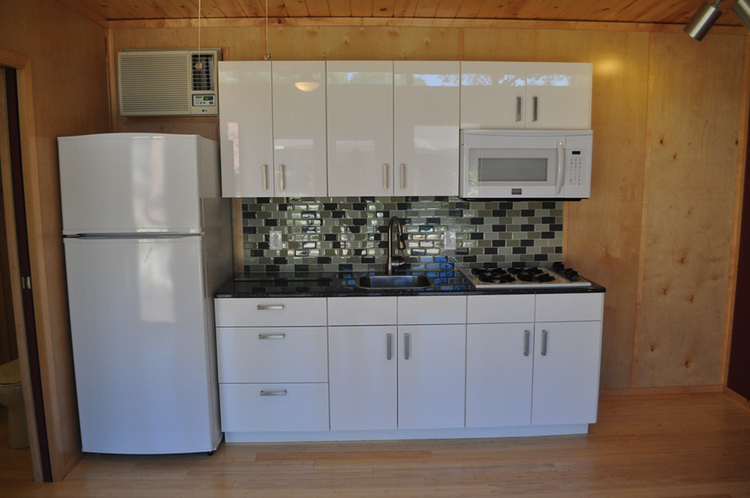 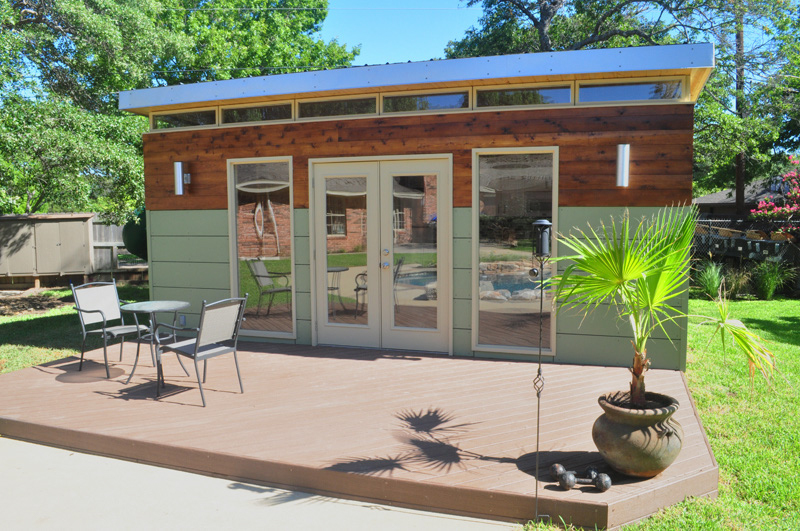 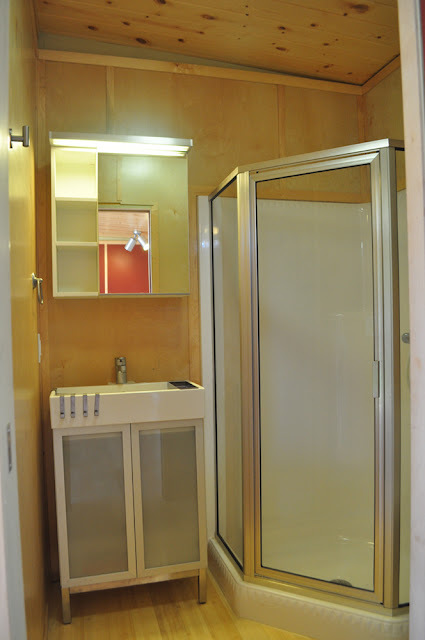 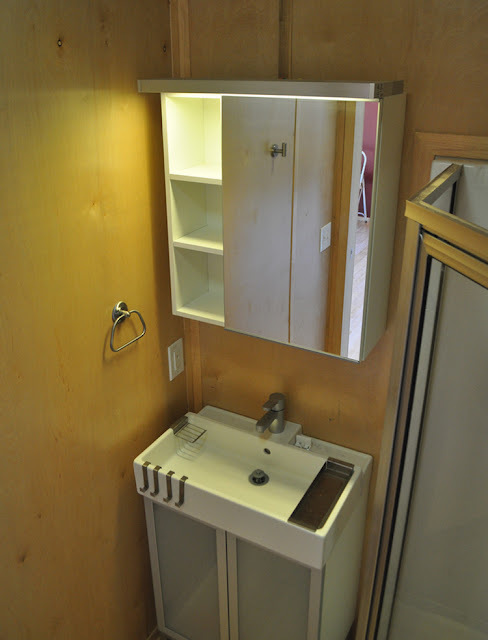 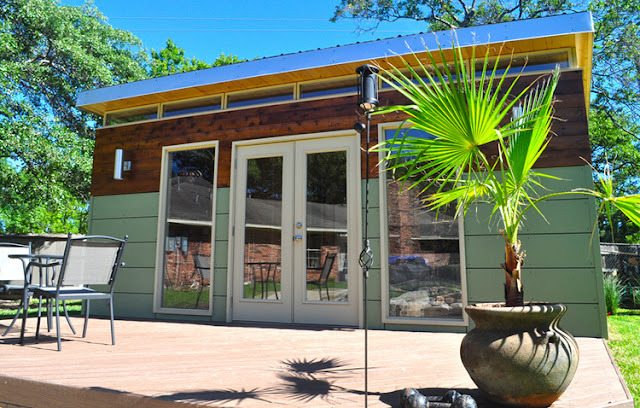 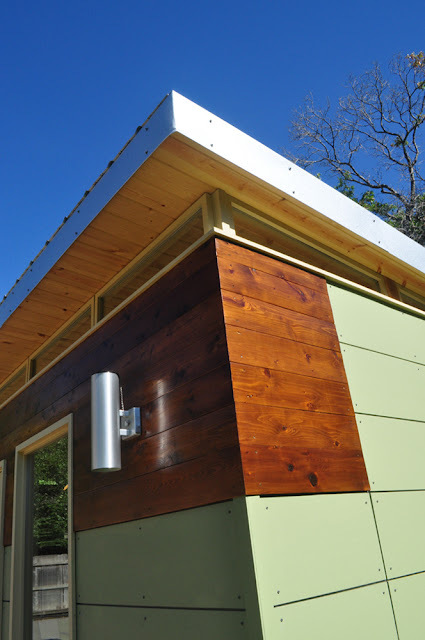 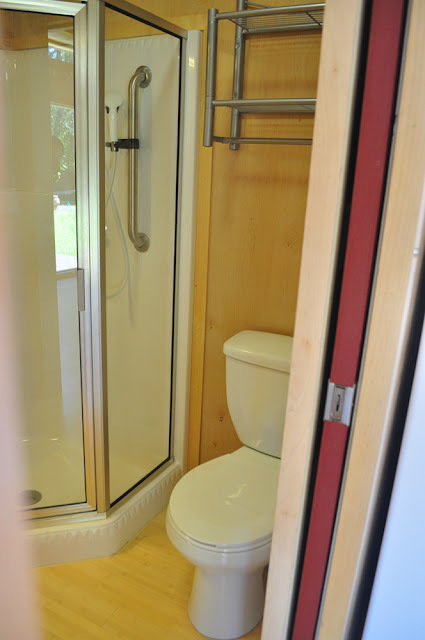 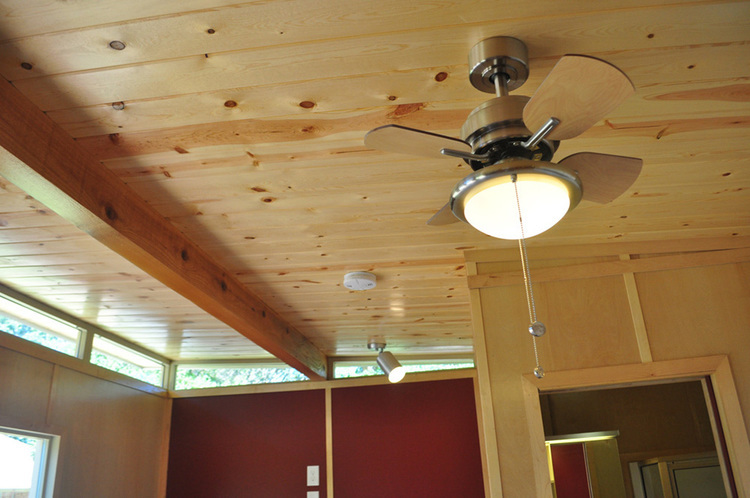 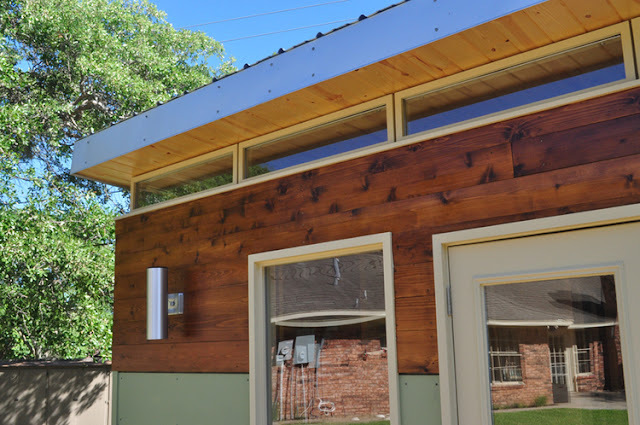 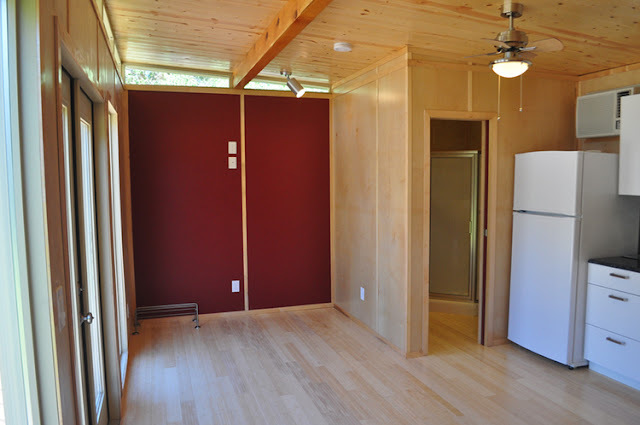 The 14’ x 20’ Modern Studio Luxe is a Kanga Room Systems tiny home located in Waco, TX. 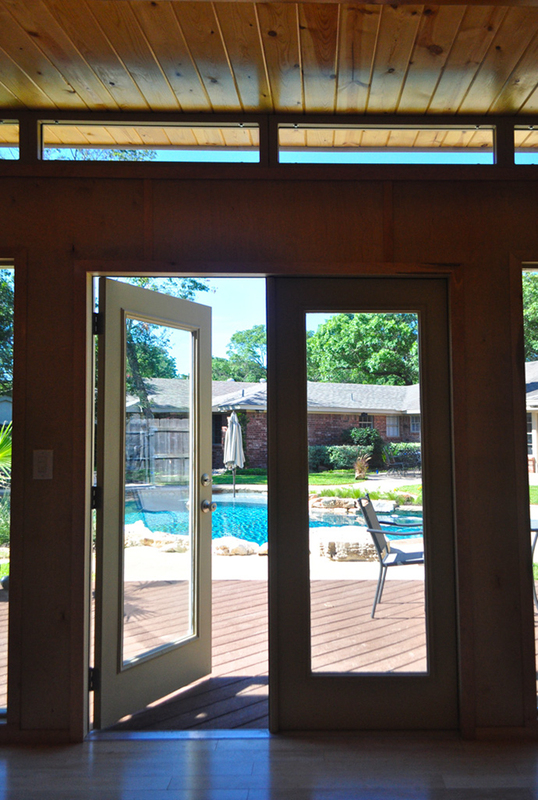 When you walk through the French-door entrance of the home, you’ll immediately notice how open the space is. 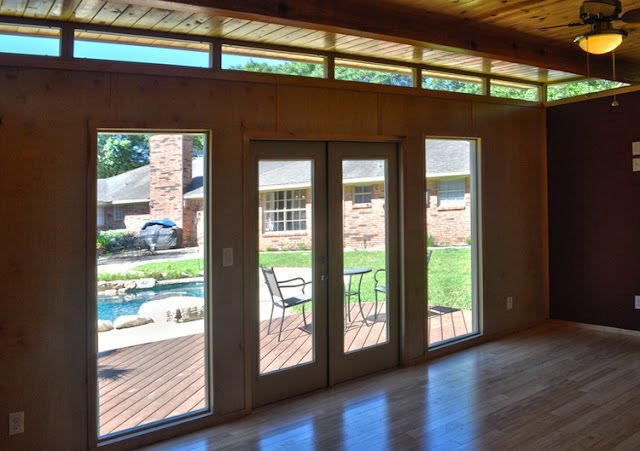 Not only does the main living space seem more spacious because of its lack of furniture, but also because it has large windows that open up the space and provide an abundance of natural light. Along the wall opposite the entrance is the kitchen. 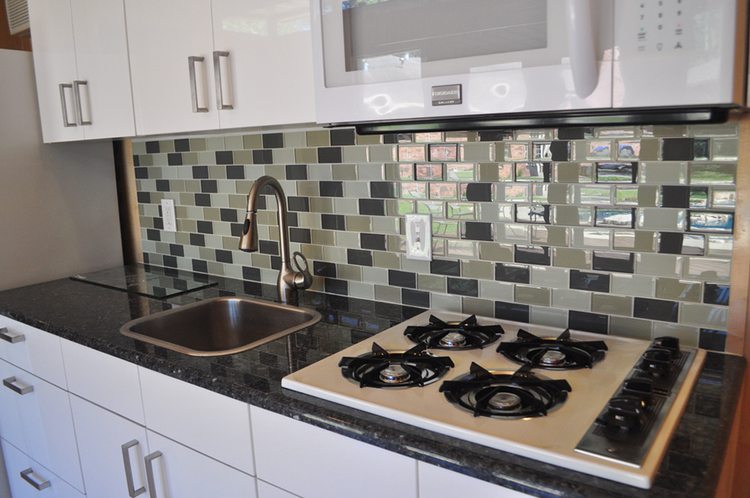 This space features luxury granite countertops, a black and grey tile backsplash, beautiful white cabinetry, a full-sized refrigerator/freezer, microwave, 4-burner cooktop and stainless steel sink. 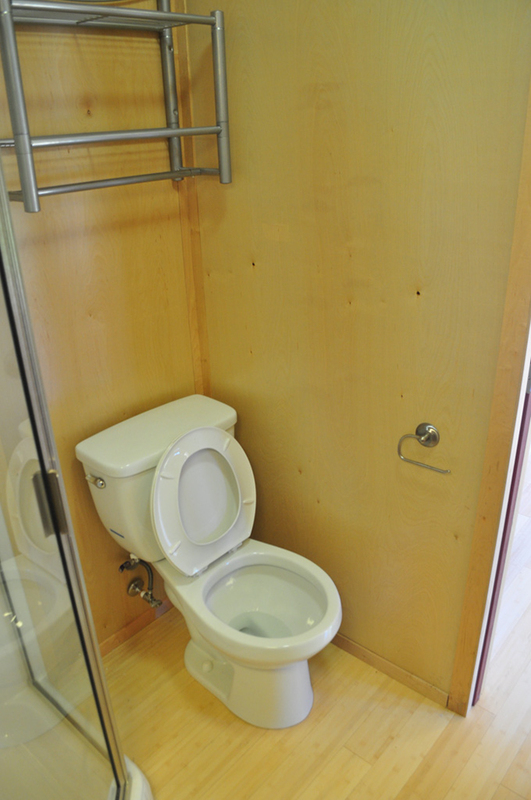 The bathroom to the left of the kitchen is furnished with a shallow sink, white vanity, medicine cabinet, standard toilet and walk-in shower. 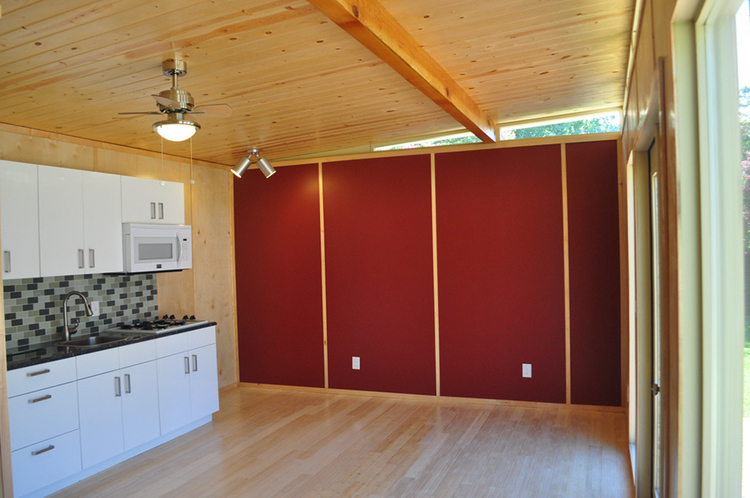 For more information on the Modern Studio Luxe, pricing and financing, contact Kanga Room Systems here!